as he goes hopping by. to last him till July. This poem is found in the collection A Jar of Tiny Stars: Poems by NCTE Award-Winning Poets [J 811.54 JAR]. 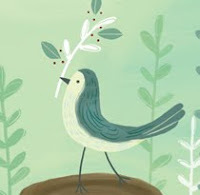 Visit the Book Aunt for this week's Poetry Friday Round-Up. By Saturday the temperatures are supposed to be back in the 90s. I came across a yoga breathing technique, "air conditioner breath," that will cool down the body. Try it and let us know how it works. A.M. and P.M. Yoga for Beginners. [DVD 613.7046 AM] Two 20-minute yoga workouts for morning and evening. Cappy, Peggy. Yoga for the Rest of Us. and More Yoga for the Rest of Us. [DVD 613.7046 CAP] Presents yoga exercises designed for any age or skill level that can be done with or without the aid of a chair to increase balance, flexibility, and energy and reduce stress. Mat Workout Based on the Work of J.H. Pilates [2 Complete 20-Minute Sessions Including Yoga]. [DVD 613.71 MAT] TV's renowned home fitness star, Denise Austen, mixes exercises inspired by J.H. Pilates with yoga, creating two meditative, 20 minute workouts for people of all ages and fitness levels. Power Yoga Total Body. [DVD 613.7046 POW] A sixty-minute workout program that uses the elements of yoga to help people build strength, increase flexibility, balance the body, and connect the mind, body, and breath. Yoga. [DVD 613.7046 YOG] Produced by MTV, this video gives an upbeat spin on traditional yoga techniques. Yoga Weight-Loss Workout for Dummies. [DVD 613.7046 YOG] Offers step-by-step instruction for the twelve essential yoga postures and makes it easy to practice at your own level. For everything you want to know about Ginger Rogers, visit the Ginger Rogers Official Site. Yesterday I reviewed Wendy McClure's new book about her visits to the locations featured in the Laura Ingalls Wilder books. The Wilder Life [813.52 MCC] made me a little envious of the writer's travels. But then I thought, Hey, I live in New England--the literary capital of the United States (my designation, not an official one)! There are many literature-related places to visit within an hour's drive of Windham! There's Jack Kerouac's grave, and the Kerouac Park, both in Lowell. On the Road is his most famous work [F KER, also AB/CD KER]. How about Celia's Thaxter's garden on the Isles of Shoals. Celia wrote about the garden in An Island Garden [635.9 THA]. Henry Wadsworth Longfellow's home in Cambridge is open to the public. He wrote many of his poems there. Look for Poems and Other Writings [811 LON]. Probably the most famous New England literary destination is the House of Seven Gables, located in Salem, MA, and the subject of the book of the same name by Nathaniel Hawthorne found in Collected Novels [F HAW]. Salem, is a treasure trove for literature lovers! Come back tomorrow for more New England literary destinations! I recently finished a book that I really liked: The Wilder Life: My Adventures in the Lost World of Little House on the Prairie by Wendy McClure [813.52 MCC, also AB/CD 813.52 MCC]. 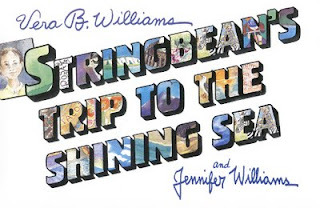 This nonfiction title takes us, along with its writer, on a big field trip to all the locations portrayed in the "Little House" series of books by Laura Ingalls Wilder [J WIL]. During the long, strange trip, McClure examines her place in 1970s America, and the effect one writer had on a generation of young readers. She also shows us a way of life--the pioneer movement of the late 19th and early 20th centuries--and how contemporary Americans long for this not-so-simple, "simpler way of living." I've only read Little House in the Big Woods and I enjoyed The Wilder Life, if you've read the entire "Little House" series in your youth, you'll probably LOVE it! Some other adult books about Laura Ingalls Wilder include A Little House Sampler, edited by William T. Anderson [B WIL], which includes writings of both Wilder, and her daughter, Rose Wilder Lane, as well as The Horn Book's Laura Ingalls Wilder: Articles About and By Laura Ingalls Wilder, Garth Williams, and the Little House Books, also edited by Anderson [813 HOR]. Wendy McClure talks about The Little House Cookbook many times in The Wilder Life, so, I ordered it for our children's room collection! Look for it to arrive within the next month or so. We have two books in the poetry series "Poetry Rocks": Early American Poetry: "Beauty in Words" by Stephanie Buckwalter [YA 811.3 BUC] and Contemporary American Poetry: "Not the End, But the Beginning" by Sheila Griffin Llanas [YA 811.54 LLA]. They are both concentrated looks at poetry of the time period. Each book contains a brief "Introduction" in which some elements of poetry are explained, about a dozen representative poets of the time frame covered, short bios of each, a few sample poems with a brief explanation and critical analysis, and, a "Read More About" section. Overall it's a neat little introductory package for teens! The poem, we are told, was written after Holmes heard an erroneous rumor that the USS Constitution was to be destroyed. 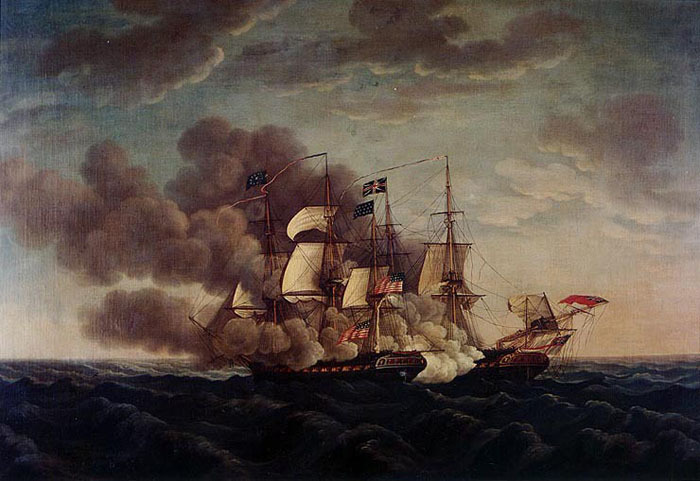 The frigate was not destroyed, and remains to this day in Boston, where it can be visited. There is also a nearby museum that is also open to the public. Visit Tabatha Yeatts: The Opposite of Indifference for this week's Poetry Friday Round-Up. Have a great weekend! We always like to see kids reading over the summer months so that they haven't lost any skills when they go back to school in September. It would also be nice if we could see kids writing. A good way to encourage keeping up with writing skills is to send postcards from vacation spots. It's a fun outing on a rainy day--spend time looking through picture postcards and picking out just the right one for grandparents or a BBF, then carefully composing a little message. 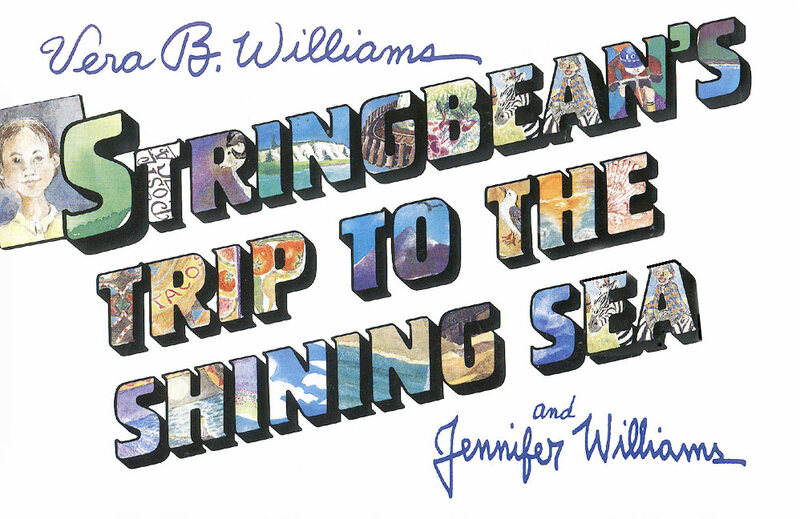 Borrow the picture book, Stringbean's Trip to the Shining Sea by Vera B. Williams [JP WIL], to provide inspiration. The story involves a child on a trip out West who keeps in touch through postcards. Another fun reason to write is the possibility that a child's writing could be published. Several children's magazines such as Highlights for Children [J MAG HIG], and Cricket [J MAG CRI], often publish children's letters, poems, and art. There are also places online that will publish children's work. One such place is Scribblitt. One of the purposes of our summer reading program for kids is to make reading a year-round activity--not just something that is done during the school year. It has been proven that parents who model reading behavior have kids who are more likely to read themselves. The fact that a parent reads proves its worth as an activity in the mind of a child. Look at The Book Whisperer: Awakening the Inner Reader in Every Child by Donalyn Miller [372.6 MIL] where there is a section called "The Need for Reading Role Models: The Crux of the Reading Crisis" for some startling statistics. 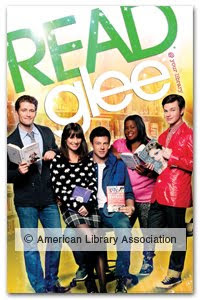 Adults might be interested to find some of their celebrity heroes were captured in the act of reading. Click here and enjoy! The film's PBS page contains additional information. If you miss Biblioburro tonight, you can watch it online starting tomorrow (click on "Watch the full episode" under the preview). Or, you can borrow our DVDs, or you could go back and reread all the books--we have them both in book and audio formats. And, if you've had enough Harry Potter to last you a lifetime, then there's always other authors for you to tackle like Terry Pratchett [SF PRA] or Ursula K. Le Guin [SF LEG]! 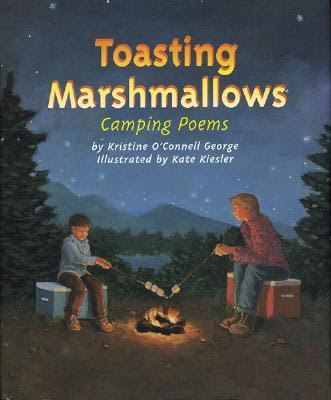 Toasting Marshmallows: Camping Poems [J 811 GEO], by Kristine O'Connell George, illustrated by Kate Kiesler, is a fun read for this time of year. Head over to A Year of Reading for this week's Poetry Friday Round-Up. Yesterday, I spoke briefly about Lisa See's last two novels. Today, I'd like to mention that one of her earlier novels, the one that rocketed her to the top of the bestseller list, Snow Flower and the Secret Fan [F SEE], has been made into a film. It opens in select theaters tomorrow, and it should be opening everywhere else within the next two or three weeks. I would have thought that most everyone has read the book already, but there is always a revived interest in a book once the filmed version is out. If you're on Facebook, check out the Snow Flower and the Secret Fan page where you can find your own lao tong using a special app. It's like a virtual "secret fan." 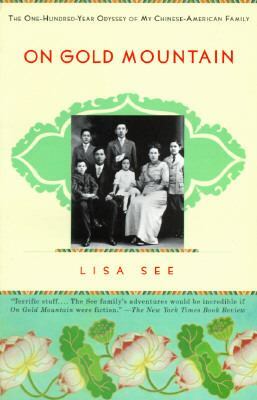 Some of you may be fans of author Lisa See's novel, Shanghai Girls, which covers the Chinese immigrant experience in California. Her latest, a follow-up to Shanghai Girls, is Dreams of Joy [both F SEE]. See is a Chinese-American, and her heritage has greatly influenced her writing. See wrote about her family history in On Gold Mountain: The One-Hundred-Year Odyssey of My Chinese-American Family [B SEE]. Gold Mountain is the term the Chinese used to describe California. It also refers to western North America as a whole since British Columbia is also a destination for Chinese immigrants. We have osprey here in New Hampshire, too. 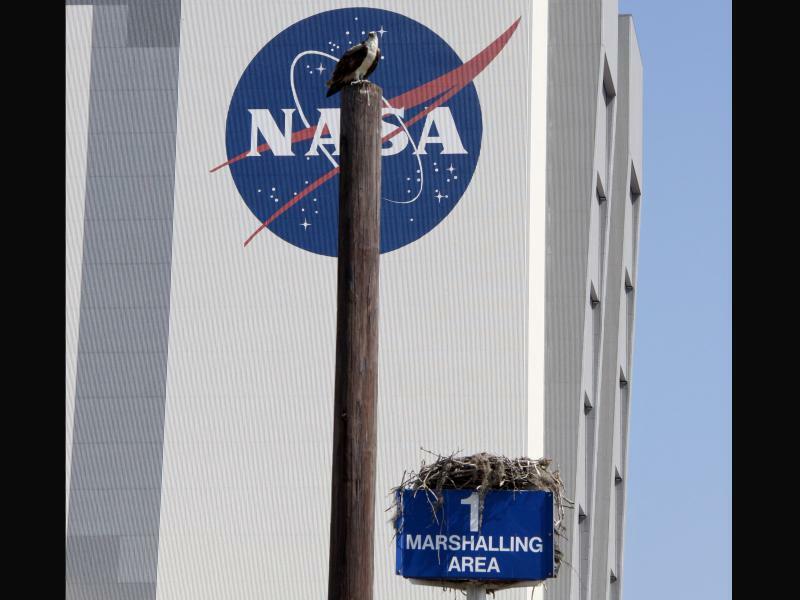 There are several places where you can go to view osprey, click here for more information. There are several photos of an osprey nest and chicks on Colby Marsh along the NH coast, click here. The Daywatchers, by Peter Parnall [598.91 PAR] has general information on osprey and other birds of prey. It's only fair that since I highlighted Gene Kelly on Friday, I should highlight Fred Astaire today! And, if you also like the way Astaire sings, we also have Fred Astaire: The Great American Songbook [CD MALE VOCALIST AST]. There are days when the weather is fine and you just feel like dancing. Perhaps today is one of those days for you? In our children's room we have a poetry collection, selected by Lee Bennett Hopkins, titled Got Geography! [811.008 GOT]. It is what you'd expect, poems about geography. Poems with titles like, "Mapping the World," "If I Were the Equator," and "Compass." The title of very last poem came as a surprise, "from Lines Written for Gene Kelly to Dance To." What do geography and Gene Kelly have in common? from any of the corners. magnets to keep your feet on the earth. And that's why we got geography. And it's nice to have it that way. Is that fun or what? Now, you didn't expect this post to end without seeing Gene Kelly dance, did you? This week's Poetry Friday Round-Up is being held at Wild Rose Reader. Make sure to stop by! 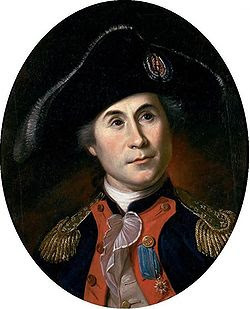 Yesterday, July 6 was the anniversary of the birth of John Paul Jones. He was born in 1747 in Arbigland, Kirkcudbrightshire, Scotland. Jones lived for a time in Portsmouth, NH. You can visit his Portsmouth home; it's open every day this summer from 11 am to 5 pm. There's a nice album of Jones-related pictures on the Naval History & Heritage Command Facebook page. Check it out here. We have a number of Jones biographies in both the adult and children's sections [B JON or J B JON], including one by New England's noted maritime historian, Samuel Eliot Morison. Polargraph / slow drawing show preview from Sandy Noble on Vimeo. And talk about amazing--we have more than 400 kids signed up for our Summer Reading Programs. There's still time to sign up and read! So come down to the Library today! In the search box at the upper right-hand side of the page, click on "Advanced Search." On the next screen go to the "Format" drop-down box. Click on either eBook or Audiobook. Click the little box to the left of "Only show titles with copies available." Do not fill in, or click on, any other box. Click on "Search." The results will only include those items that are available. When you're looking at eBook results, in some cases you will see a little gold seal on the right. 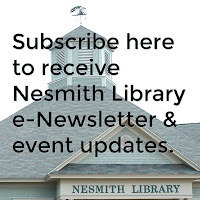 Titles with a seal are available exclusively for Nesmith Library cardholders! We currently have 100 titles in our exclusive collection. You can see the list here. 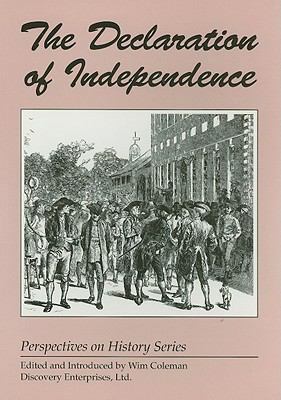 Celebrate this national holiday by reading the document that started it all, The Declaration of Independence. You can borrow one of these books when we reopen again tomorrow! Have a safe and happy holiday! Before you leave for the long holiday weekend, stop by A Wrung Sponge for this week's Round-Up.